Starting November 17, the Chesapeake Bay will look like the North Pole. Growing up, I didn't consider it the holiday season until I could see the Christmas lights shining at Sandy Point State Park as we drove across the Bay Bridge. The lights were like a shiny beacon, summoning Santa to the Eastern Shore. 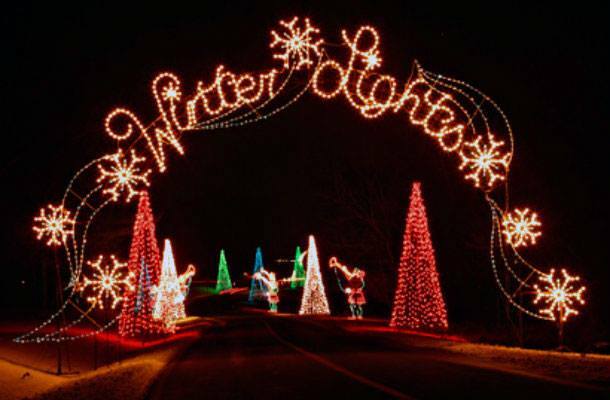 From November 17 through January 1, Lights on the Bay will be open to cars for $15, with all proceeds going to the SPCA of Anne Arundel County. So get into the holiday spirit for yourself and for a good cause. 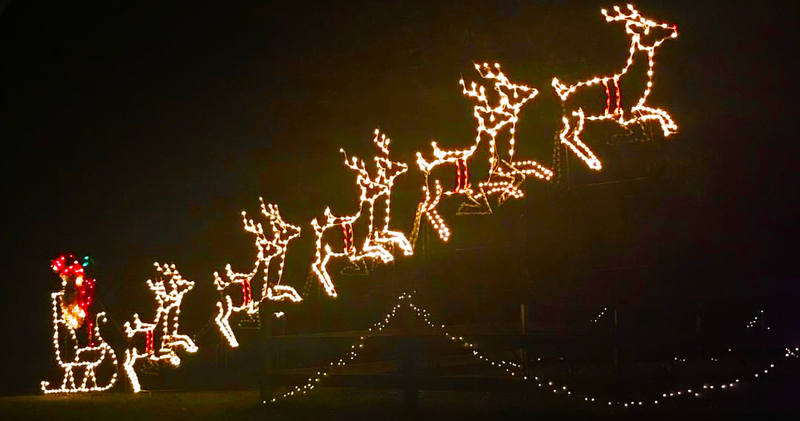 After 25 years of Christmas lights, these people know what they're doing! The light displays are along a two-mile route with 70 different setups that sparkle, shine, and move. I always enjoy seeing Chessie, the Chesapeake Bay sea monster, glowing by the docks as she gloats over her presents from Santa. But you can also see the Gingerbread Man do a cartwheel over your car and land on the rooftop of his gingerbread house (we won't be catching that guy anytime soon). Light bulb renditions of the midshipmen toss their hats for you. 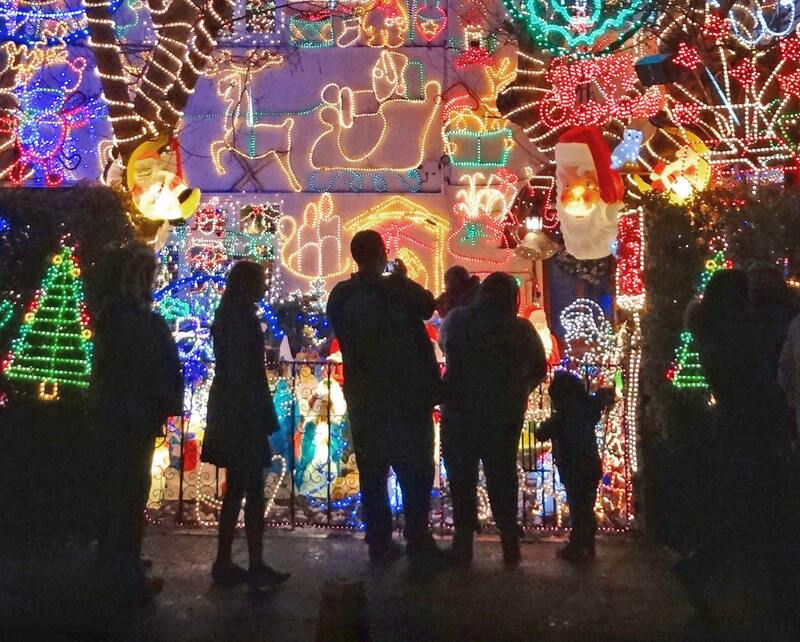 If this isn't a family tradition for your family, you should start making it one this year! You can even get a sneak peek at the light display on foot with Lights and Leashes on November 15. As long as your dog is leashed, your fuzzy pal can come with you on a walk through the lights: Santa is for the puppers, too, you know! And Annapolis Striders does the Dashing Through The Show -- 5K Fun Run on November 16 for another opportunity to get a look at the lights before everyone else. Again, both events will donate proceeds to the local SPCA. Santa will make an appearance on Thanksgiving, so loosen your belt and get to Sandy Point before the tryptophan kicks in! You won't be sorry, and hundreds of little dogs and kitties will thank you! Do you go see the Lights on the Bay every year? Tell us in the comments below! Head up to Baltimore to visit the German Christmas Village this holiday season!